Tulips are starting to come on strong, but we still have daffies! Posted on April 9, 2018, in Flower of the Day and tagged Flower of the Day. Bookmark the permalink. 2 Comments. 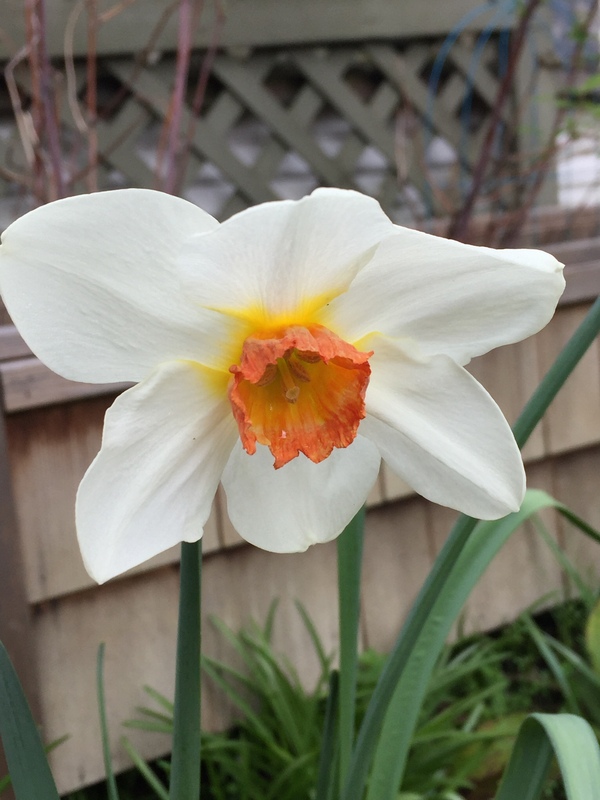 One of my daffies opened and another one is trying. I don’t think they’re in a good place. I have tons that won’t open — year 3. I’m going to add more this fall.